Although is is commonly called Snow Grass, Poa sieberiana is found from coastal areas right through to alpine areas. 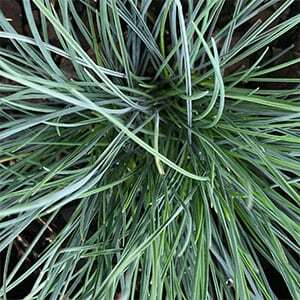 It is a versatile tussock forming grass, attractive grey/green foliage and very low maintenance. Use this a a feature plant in the garden border, grow it in containers or use it as an edging plant along pathways or fence lines. Also usful fo planting beneath evergreen trees. This is also a very useful plant for erosion control as it has a good growth rate and root system. Once established this is a very low maintenance ornamental grass or ground cover. Plant at around 25 cm to 35cm apart to eventually form a carpet of grass. Pruning is the only real maintenance task required. Old clumps can be pruned back in late winter to spring to promote good new growth. Soil – Tolerant of a range of well drained soils. Spread – Forms a clump to around .5 metre. Flowers – The seeds heads are green to purple..
Foliage – Mid green and narrow.